Power of Change is a non-profit organization governed by a board of directors. The initial and founding board will consist of the following gentlemen who will guide the mission of our ministry and give oversight and leadership to the organization. Reid Monaghan is the founder and President of Power of Change. He has over 20 years of ministry experience working with university students and athletes as well as over a dozen years in pastoral ministry, church planting and entrepreneurial leadership. See Reid's full speaker bio here. Dr. Allison is a beloved professor of Systematic Theology at The Southern Baptist Theological Seminary, an elder at Sojourn Community Church and theological strategist for the Sojourn Church Planting Network. Dr. Allison's theological expertise, passion for evangelism and the local church will be valuable assets in guiding our work. 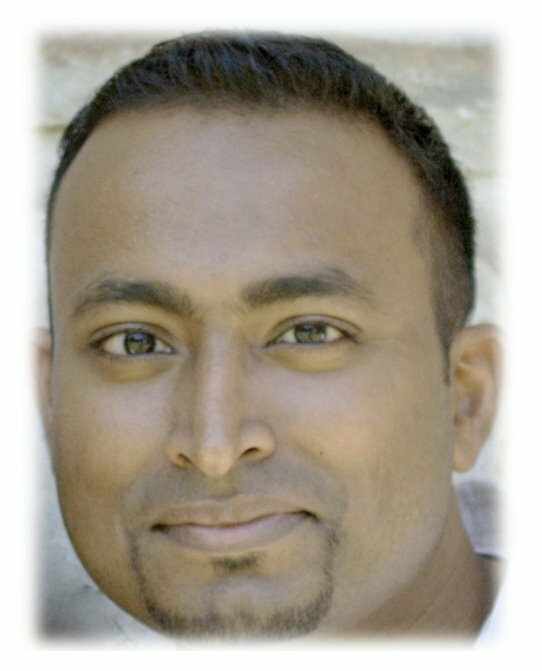 Manoj Thomas is a Managing Director, Technology Strategy & Planning for Bank of America and an elder at Jacob's Well NJ. In his career he has managed large global account relationships for Microsoft with Johnson and Johnson and Citicorp. His expertise in organizational management, passion for the gospel and desire to see coming generations influenced for the Lord will be strong influences for Power of Change. The following men and women stand with Power of Change and have kindly agreed to serve as references to endorse Reid's life and ministry. I’ve known Reid for almost 20 years. I trust him. He is a friend. He also has a brilliant theological mind with a pastors’ heart. Reid has a unique way of connecting with college students that can only be explained by God’s Spirit enabling him to reach and equip them. I highly recommend Reid. I've been a big fan of Reid for several year and have considered him as one of Acts 29's best leaders. He is a gifted communicator, evangelist, and leader and planted a successful church in a very difficult context. Additionally, Reid served Redeemer Lubbock in the fall of 2015 by teaching a conference for our college ministry and preaching at our Sunday services. He was very well received and is well suited to engage unbelieving and Christian audiences. I'd highly recommend him. It is difficult for me to write only a few sentences describing how instrumental Reid Monaghan has positively impacted the lives of so many former student athletes at Virginia Tech. I first met Reid when he was the Virginia Tech campus lead of Athletes in Action. I was a new believer entering my sophomore year at Virginia Tech. Reid not only showed me but also demonstrated what it meant to be a follower of Christ. He encouraged me to have the same intensity serving the Lord as I did in pursuit of my college football career. Reid showed me how to utilize my God given gift of the Holy Spirit, to lead my action as young man that would carry me to success even today. Fifteen years later, he remains involved in my life. He is always there to offer advice and provide a listening ear. I could go on and on about this man whom I look-up to. I would not be where I am today without his spiritual leadership. Seriously, the dude married me to my wife, and was instrumental in my decision to pursue a medical career. When I teach medical students, go on a mission trip, or treat patients in the clinic, I often remember the countless hours Reid spent with me and other VT athletes in his basement townhouse expressing the importance of honoring, following, and living the word God. Reid Monaghan has the unique gift mixture of visionary leadership, pastoral shepherding, and executive gifting that have resulted in healthy, fruitful ministries, and churches under his care. Over the last 7 years I have watched Reid display high capacity leadership in both the planting/leading of his own church, and the assistance in the development of nearly 10 other church plants in NJ. What makes his gifting so unique is the ability to not only oversee, develop, cast and create vision for multiple complex ministries but also to do that with an attention to detail, and excellence in a way very few high capacity visionaries display. Finally, Reid shepherds and cares for both his church, and a number of leaders around new Jersey and the United States; God has used him as a pastor for pastors. Reid is perhaps the only man I personally know who has gifting in all three of these ministry lanes visionary leadership, executive attention to detail, and pastoring shepherding (prophet, priest, king). There is a neat irony that characterizes my friend, Reid. He's a former NCAA division 1 grappler so his instincts have always been to pummel and strong-arm into submission. But there's much more than meets the eye with Reid. He is a reason-able disciple who loves the Lord with heart, soul, mind, and strength. This is clearly reflected in his writing, preaching/teaching, and one-on-one mentoring/coaching. The power of Gospel transformation and change is clearly evident in his life. Since 2009, Reid has been a dear friend to me and the church I lead since before its inception. One gesture I will never ever forget is how in the midst of gathering his own church planting core team, he sent over to me a godly man who would eventually become my associate pastor. Who does this?! That type of counter-cultural selflessness has left an indelible mark in my life and the life of our church. Reid Monaghan is precisely the Gospel-centered leader I would want to teach, mentor, mold, and influence the minds of young men and women who are hopelessly lost without the Gospel. I envision great and marvelous things to emerge from Power of Change. Reid Monaghan has been a teacher, mentor and friend to our church and our region of church planters for years. Given a personal testimony of how the gospel of Jesus Christ can utterly change a mind and a life, his insight into the intersection of the gospel, faith, apologetics and current cultural thinking is motivating, informative and transformational. I highly recommend him and his ministry to you as a coach or trainer for a large group! Few people walk in both grace and truth while engaging others in the realm of ideas. By the power of Jesus, Reid Monaghan is one of those people. I am regularly blessed by his thoughtful engagement and always blessed by his tenderness and compassion. I’m confident that you will be as well. Rarely do you meet someone who has had such a profound impact on so many leaders. Reid’s tenure of ministry, as well as his God-given talent to coach with excellence, has made him invaluable to me - and so many others - as a church planter and pastor. His breadth of wisdom and understanding, his erudite mind, and his passionate love for the glory of God and the gospel create a well-rounded a man who has much to offer the local church and its leadership. My time with Reid has been massively formative, both as a disciple and as a pacesetter in the church. Reid is a godly, bold, and effective Christian minister. He is at the same time incredibly intelligent and authentically humble. That’s a rare combination and it’s powerful in gospel ministry. I had the privilege of learning from him as we planted our church. His fingerprints are all over our ministry and I’m grateful that God let our paths cross! Reid has the wonderful gift of excelling both as a visionary and a doer. The vision God has given him for all the various components of Power of Change have flowed into his life and ministry during his time at Jacob's Well, and have had an immensely positive impact on this local church. As a church, we are excited to have the opportunity to send him to begin executing full-time on all these things for which he is so gifted. But of his many qualifications, Reid's affection for Jesus Christ stands above them all. His desire to be part of God's work of redemption and transformation that he himself has experienced is evident in every area of his life. No doubt God will continue to use Reid mightily as he follows His Savior in obedience and love. A lot of resources come from an academic environment that is far removed from the frontlines of missional engagement. But the insights behind Power of Change come from significant experience in the trenches— both in the university context and the context of the local church. Reid loves Jesus and loves the church, and he loves connecting the Gospel with our culture. I know Reid as a brother, friend, fellow pastor in his region and I’ve seen the solid fruit of his ministry in the lives of the church planters he has equipped. I’m looking forward to using Power of Change to equip church planters in my city and heartily endorse Power of Change to any who desire to train people to better communicate the Gospel in this cultural moment. It is my privilege to support Reid Monaghan and the ministry of Power of Change. As a Christian counselor I have seen firsthand the lack of leadership that young men have had in their personal and spiritual development. This has often led them to my office with struggles in relationships, careers, and personal issues. Reid Monaghan is gifted with a unique ability to connect with young men in a way that points them to truth and empowers them to change. I had the pleasure of serving closely with Reid Monaghan and his family in New Jersey. Reid has been a mentor and friend to me, exemplifying what it means to be a man faithful to the Lord, who loves and serves his family, cares for his community, is a clear and powerful teacher of the Scriptures with a deep desire to see people come to know Jesus. Reid has a unique blend of passion and gifting that manifests itself through thoughtful and clear articulation of the complexities of the faith, a desire to see the next generation of men raised up to boldly proclaim Jesus and extensive experience in both planting churches as well as coaching church planters. His background and experience positions him well to serve faithfully and successfully in this next phase of his ministry. Reid has been one of the most influential men in my Christian life. It is evident that God has gifted him with a unique ability to engage people from diverse religious and philosophical backgrounds in discussions about ultimate issues. But what is most striking about Reid is his awareness that true power of change comes from the power of the Gospel. This is evident in the way he engages people with a posture of graciousness, respect, and strength that reflects the ministry of Jesus. Reid Monaghan is a man’s man. He uniquely embodies a strategic mind for simultaneously combining two abstract and often distinct concepts; namely: equipping Christian leaders within the local church and empowering a passion for engaging culture, outside of the church. Simply put, he is a man who other men will want to follow. He is a friend, a mentor and a brother and he doesn’t wear three different hats to be all of those things—he simply embodies them with godly character and integrity. He is a man of great conviction, and his convictions often lead him to a joyful and willful surrendering to God’s will for his life; he is also a man of vision, who sees beyond the now, a man who sees beyond today, so I have learned to trust his leadership and guidance in some of the most difficult situations in my own life. He is my first non-black pastor yet he is one of the best pastors that I have ever been around. I could not recommend anyone more highly than Reid Monaghan. My wife Missy and I have known Reid and Kasey Monaghan for years, first as co-laborers with Athletes in Action then as our pastor here in New Jersey. Reid and Kasey's hearts for the Lord and gospel ministry are contagious. And although we are sad to see them leave we are really excited about what God has for them in this new season of ministry with Power of Change. Reid is a very thoughtful and culturally astute evangelist/apologist and teacher. He has a passion for helping people come to know the God who has transformed his own heart and mind. Reid also is a loving husband and awesome dad and has a passion for helping to develop not only his own children but the next generation of young men as servant leaders in the home and church. Please prayerfully consider partnering with this wonderful family as they look to continue to serve our Lord Jesus and his church in this new venture. It is an honor to endorse Reid’s Spirit inspired vision for the Power of Change. Having witnessed Reid’s work on a college campus, there is no one I know who is better equipped for engaging men in this post-Christian society. Students are inundated with so many belief systems it takes an intelligent, loving, gospel centered man to introduce, through authentic friendship, a gospel centered vision for life. Reid is one of the most catalytic leaders I've ever known. He possesses a unique gift for planting the Gospel in difficult soil. Reid is a rare leader who combines humility with boldness and intellect with passion. With Reid's crystal clear teaching, missional insight for contextualization, and passion for discipleship, I'm confident that Power of Change will make a huge impact on the next generation. There isn't another leader who I could more wholeheartedly endorse to reach the next generation and raise up equipped leaders who will make a lasting impact on culture. Reid Monaghan is a gift. I don't say this flippantly. He is unique to this world in his ability to translate difficult truths into points of understanding, while not sacrificing any intellectual rigor or clarity. He is unique in his ability to see potential and mine it in people, particularly young men. Without Reid's investment in me, I am positive that my present ability and influence would be lacking. I am thankful for him, and those to whom he goes in this future endeavor will be equally thankful. In a post-Christian culture, we need Christian leaders who are credible, winsome, and wise. Reid Monaghan is all of these things. He’s also a veteran church planter who loves the local church. Reid possesses a rare blend of courageous masculinity, sharp intellect, and keen cultural discernment that allows him to serve the church and its leaders in unique and effective ways. Our church has been helped and strengthened by his work. I’m thankful for him, and I commend him to you. Reid has a unique way of bridging worlds that often seem distinctly separate. He can communicate deeply philosophical ideas in simple terms and not only help people understand them, but lead people through them. He is a natural leader who leads through teaching and example, a person people like to follow. My name is Willie Pile and I am the Owner of FASST Performance & Fitness, LLC. based in Dallas, TX. I am also a former Virginia Tech Football All American, NFL Draft pick & 10 year professional football player. These accomplishments, however, pale in comparison to my personal relationship with Christ & the mentorship I've received, and continue to receive, from Pastor Reid Monaghan. As a freshman at Virginia Tech, Reid helped me transition from a young athlete striving to make the right decisions to a man capable of leading an "Athletes in Action" Bible study and sharing my faith with my peers. Now, as a husband, father, and sports performance coach, I find myself sharing Reid's pillars of mentorship and relationship-building with my family and my athletes. It is with tremendous pride & sincerity that I wholeheartedly endorse Reid Monaghan and his role in the Power of Change Ministry. From my first conversation with Reid, I was impressed with his sharp mind, his passion for Christ and the church, his commitment to living in step with the Spirit and his tireless work ethic. As gifted and capable as he is, most admirable of his strengths is his humility in listening well and serving others. I have no doubt that God will use Reid and Power of Change in influential and impactful ways for His Kingdom and I am excited to see that play out in new and existing churches, ministries and individuals throughout the U.S. and beyond. When I think of Reid Monaghan, I think of the grace of God. Reid was passionate about life before he came to know Jesus. It was just that he was trying to show everyone how tough, strong, crazy and courageous he was in order to "be someone" because he "had to." Now as a follower of Jesus, he "gets to" use his passion with and for His Savior, so that others may see what the grace of God can and will do in a person's life. Praise God for the way He rescues, restores, and re-launches His children into a life they truly wanted from the beginning, but just didn't know where to find it. Reid, keep pointing up to Jesus! Mike Echstenkamper, Athletes in Action Campus Director, UNC Chapel Hill. God always raises up influencers to shape the church and culture in every generation. Reid Monaghan is the influencer pastors need and is well equipped with experience and understanding to come along side the church to bring strength. His thoughtfulness, well-rounded scholarship and hands-on experiences poise Reid and Power of Change to radically equip the saints for the work of the ministry. Pastor Nick Nye, Lead Pastor, Apostles Union Square, NYC. I had the privilege of being coached by Reid through my first three years of church planting and can say without hesitation that I don't know where I or my church would be without him. Reid is truly a man of God who possesses the rare combination of strategic vision and a pastoral heart. Reid's extraordinary gifts as a teacher, apologist, evangelist and coach provide him with a unique opportunity to impact and influence the coming generation with the gospel of Jesus Christ.